This site was taken down after its company closed shop. I saved a complete copy, which you can view below. 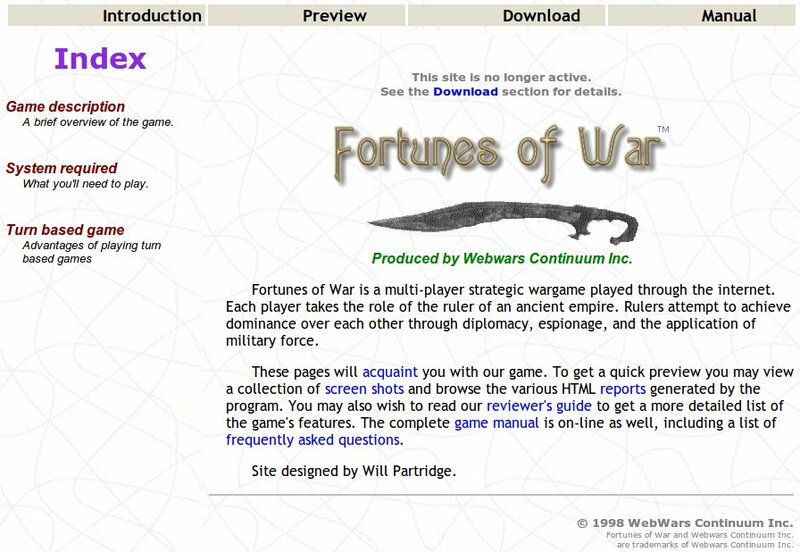 This was my first major web site. I wrote all the game rules and documentation, too. It will look a little weird on today’s monitors. Giant widescreen displays were science fiction back then, and there was nothing like responsive design to help out.